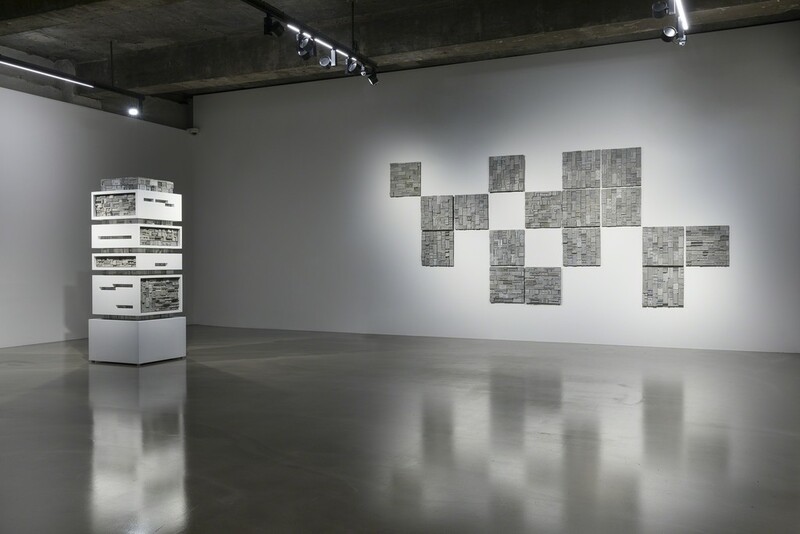 Gallery Baton is pleased to present Re:Masonry, a solo exhibition by Kim Sang Gyun. Kim focuses on architectures which were built in the colonial style during Japanese occupation and now stand as historic sites that evoke of the past in the heart of an ultra-modern city. Gallery Baton is pleased to present Re:Masonry, a solo exhibition by Kim Sang Gyun (b.1967), at the exhibition space in Hannam-dong from August 30 to October 6, 2018. Kim focuses on architectures which were built in the colonial style during Japanese occupation and now stand as historic sites that evoke of the past in the heart of an ultra-modern city. 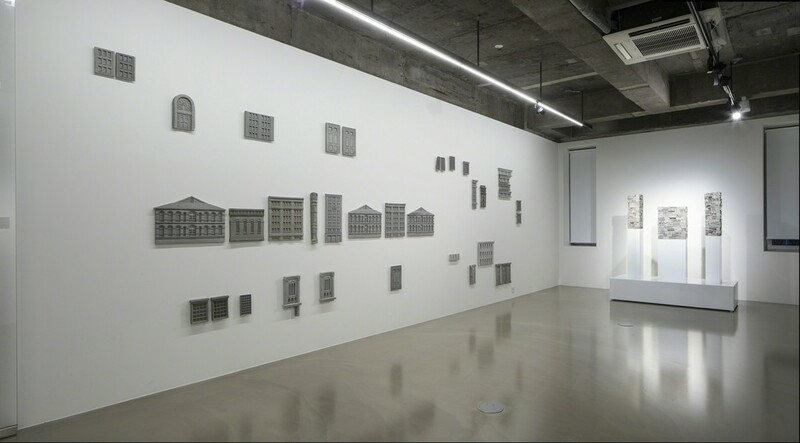 In the exhibition, he presents new works that compellingly integrate the spirit of the times, the hegemony of power, and detailed form of expression in the buildings with his own artistic methodology. 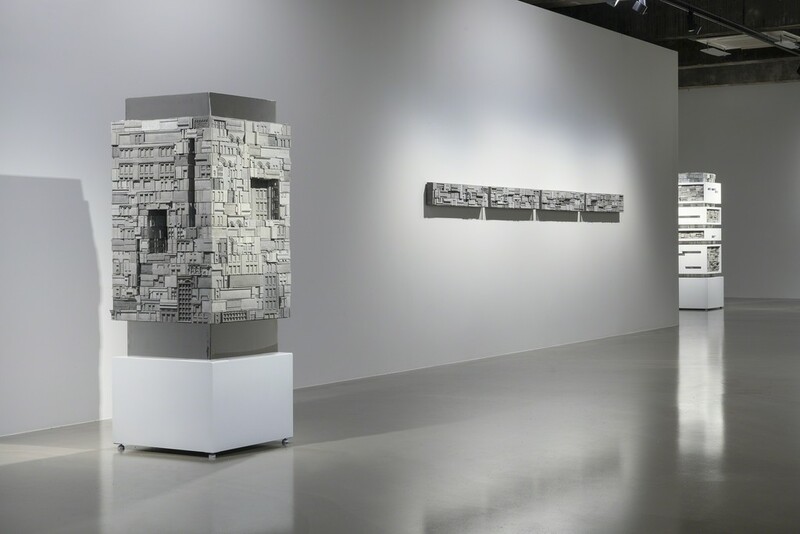 In his first solo exhibition at Gallery Baton in 2015, the artist presented works based on the prevailing architectural style of early 20th century, which is a remnant of imperialist powers that swept throughout Korea and East Asia after World War 1 and 2, and implicatively explored the subjec of Post Colonialism as the keynote of his artistic philosophy. 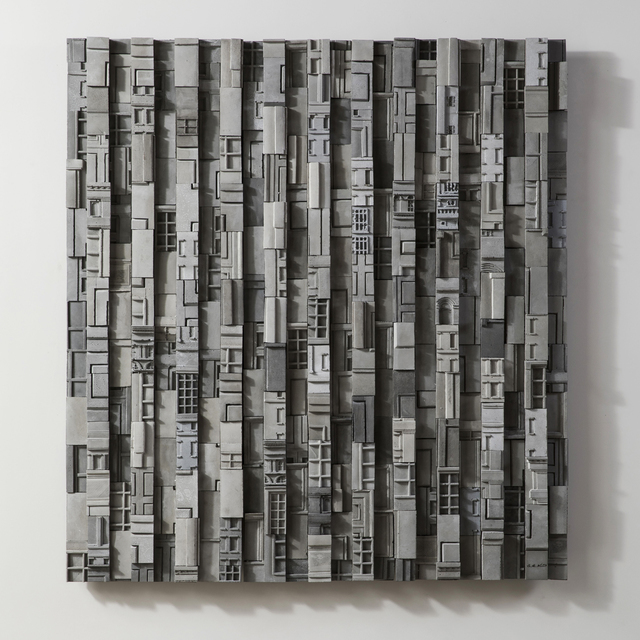 In his works, Kim appropriated facades of colonial buildings and created concrete panels reduced in size to a precise scales, which were then divided into countless pieces and put back together again, creating flat and sculptural works combining high relief and low relief. 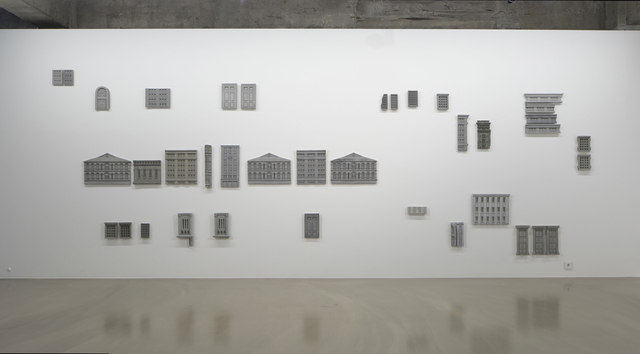 Such works attempted to deconstruct the temporary past identity given to the buildings that were forcefully constructed by the other, and to deny the authority endowed upon them. 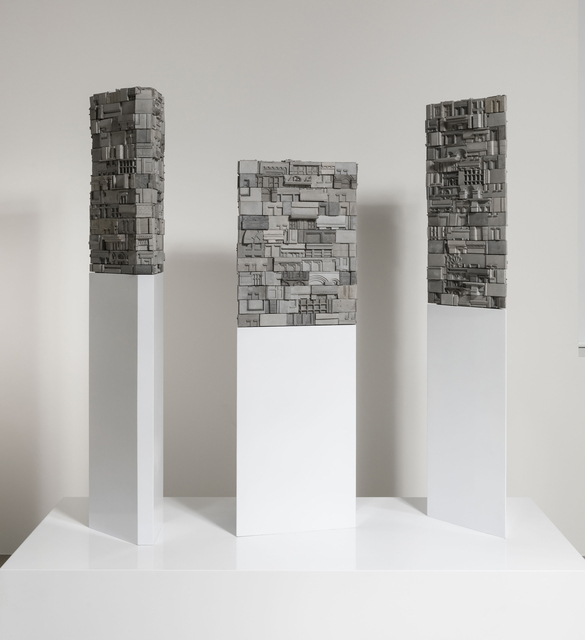 As suggested by the exhibition title Re:Masonry, Kim presents sculptural works in which concrete pieces, divided into the smallest units while retaining the external features of the façade, are put together like a masonry wall. 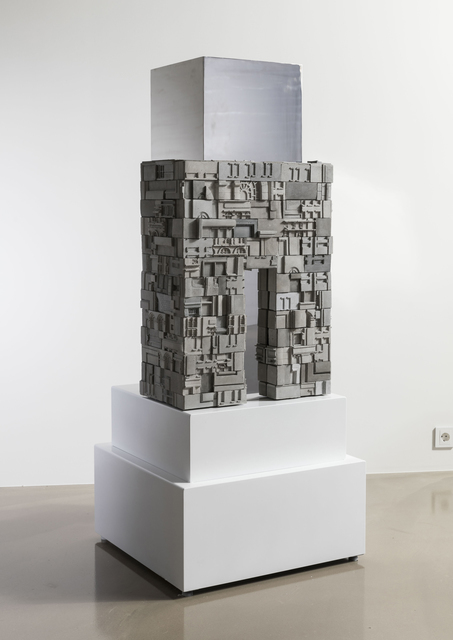 This brings out the optical effect in which the vertical sum of each of the pieces seem like the model house of a modern building, or the actual building observed from a distance. Kim Sang Gyun received BFA and MFA in Sculpture at Seoul National University, Koea and graduated from State University of New York with an MFA. Kim has shown his work both in Korea and aborad, in prestigious art institutions worldwide including the National Museum of Contemporary Art (Seoul, Korea), Seoul Museum of Art (Seoul, Korea), Pohang Museum of Steel Art (Pohang, Korea) and National Centre for Contemporary Arts (Moscow, Russia). He has completed residency at Bermont Studio Center (New York, USA) in 2007 and won the prize of Freeman Fellowship for Asian Artist. Also, Kim is a recipient of numerous awards including SongEun Art Award, Moran Sculpture Grand-Prix, Kim SeJoong Younger Generation Award and OITA Asian Sculpture Exhibition Excellent price, etc,. and his works are in collections at major art institutions and companies around the world.